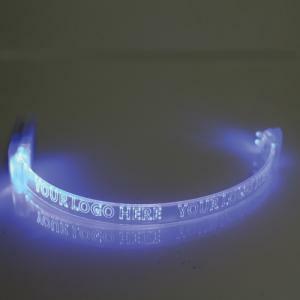 Price includes a one colour print to one side. 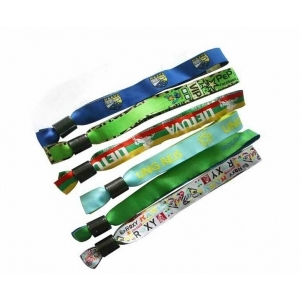 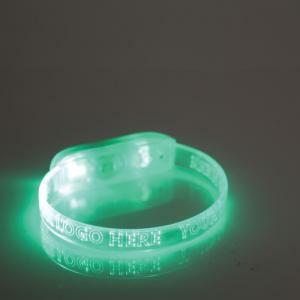 Ultra bright high quality LED wristbands, with bright optical flash. 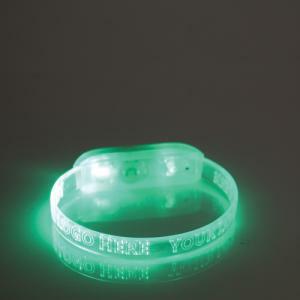 Comes with 3 flashing modes; continuously on, steady flash and a fast paced flash. 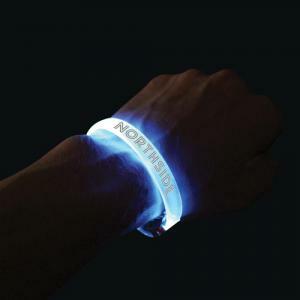 Ideal for cycling or walking at night and a brilliant products for music events and festivals. 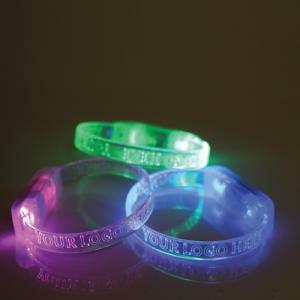 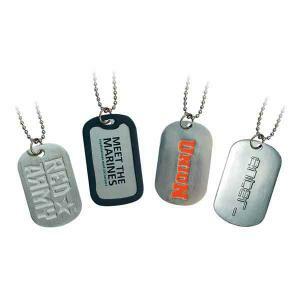 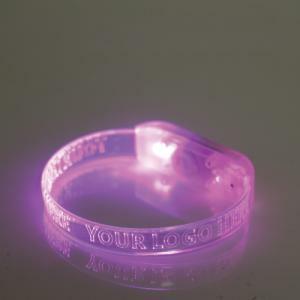 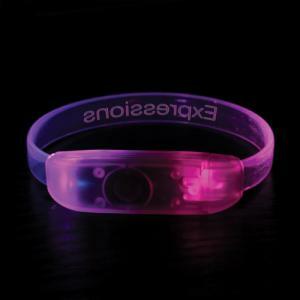 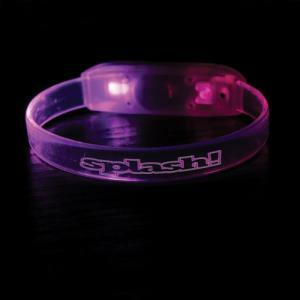 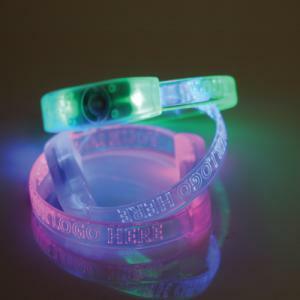 See your company name light up and choose to engrave the inside of the wristband! 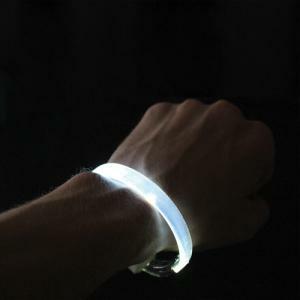 Will run continuously for up to 24 hrs and has an interchangeable battery. 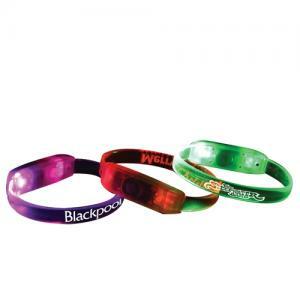 Available in 6 different colours; Red, Yellow, Green, Blue, Pink and Light Green. 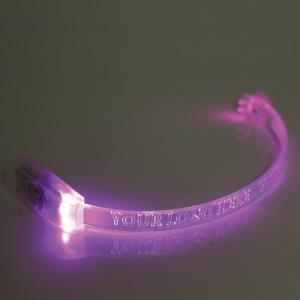 To order an unprinted LED Wristband Bracelet, please complete the details below.